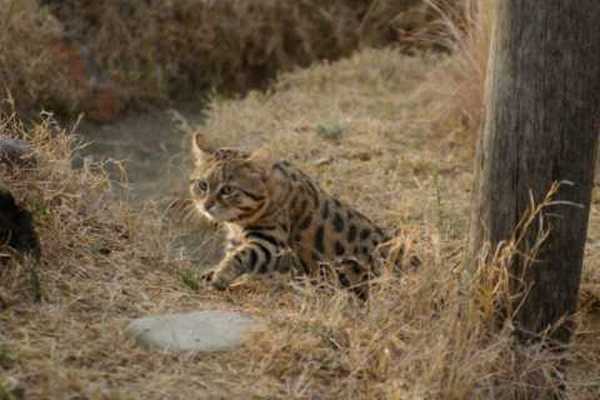 WCW started this conservation project on the DCP farm in Spotted Cats Conservation, with three wild black-footed cats, Beauty, Blacky and Footy. All three cats were injured by traps and could not be released into the wild. They were given a great home as well as the necessary treatment by the vet. 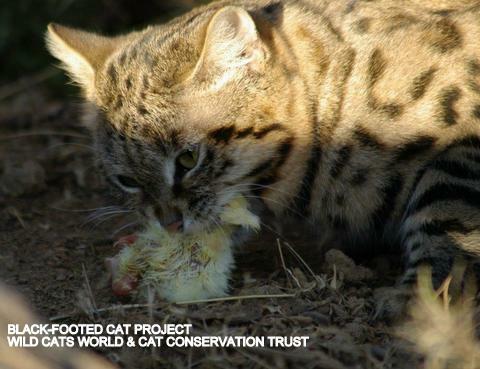 In late 2013 we decided to relocate the cats to the Cat Conservation Trust (CCT) as part of a new working alliance that adds more knowledge and expertise to make the project even more successful. Also, our captive born female Diva could join Blacky & Beauty as a start of a breeding program with this very endangered species. Sadly we lost Footy before the relocation because he suffered from FELV, which his immune system couldn’t fight. 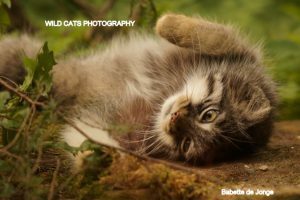 The Cat Conservation Trust is a non-profit trust that aims to create public awareness of the plight of the small cats through research and education and also runs breeding and re-wilding (releasing) programs. It is situated on Clifton farm near Cradock in the Eastern Cape, South Africa. 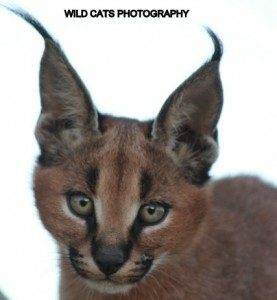 The organization focuses on the smaller African species like the African Wild Cat, the Black-footed Cat, the Caracal and the Serval. 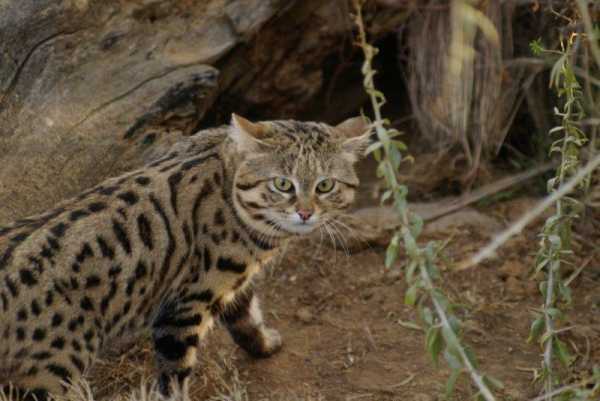 As Wild Cats World (and Spotted Cats Conservation – SCC) are also working for the same species, we got acquainted with CCT and mainly their successful work and breeding results with Black-Footed Cats and African Wild Cats. 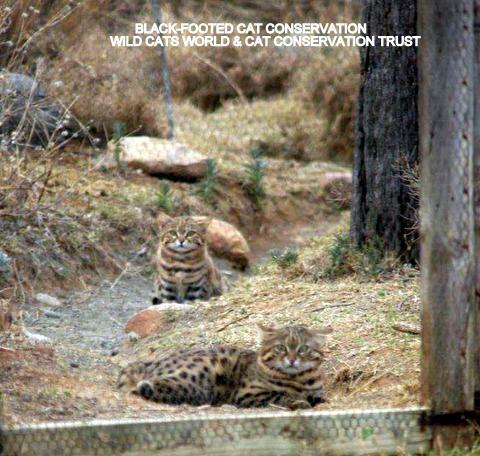 Two African wild cats of CCT, Louise and Sid, moved to Spotted Cats Conservation, and Diva, one of the ambassador Black-footed Cats of WCW/SCC, moved to CCT to start the alliance between two organizations and hopefully many successful breeding and releasing results. After our black-footed cats gave birth to a few kittens at CCT, who sadly all didn’t make it longer then 2-3 months old (known problem with this species, very hard to keep and breed, also in their natural habitat), we decided to move Beauty, Blacky and Diva back to our basic project at SCC in June 2015. Sadly Blacky arrived back in a serious state and died soon after return (kidney disease) but the females are doing extremely well and though it is very difficult and almost impossible to be able to find a new male, we do our utmost to get one, so that we can continue the BFC conservation/breeding program, like we of course are continuing the BFC educational program.